Vineyards in the Napa Valley now have protection of Geographic Indication status from the European Union that will help protect them from copycat wines. There are about 30 wines worldwide from outside of the prime California growing region -- many from China -- that use the words Napa or Napa Valley on their label. The local growers claim this is an infringement meant to deceive consumers. The new designation gives the wineries extra power in disputes, similar to trademark protection. The Napa Valley produces just 4 percent of all California wine, but sales of these sought after products generate about 25 percent of the state’s wine revenues. The Napa Valley is the first region outside of the European Union to get the Geographic Indication recognition. China is not alone in its false labeling of wines as Napa. Italy, Germany anmd the United Kingdom have Napa brands that have nothing to do with Califronia. Tuesday Tasting is a regular feature of Lyke2Drink that explores some of the best beers, wines and spirits on the market. This week we visit three Virginia wineries nestled among the Blue Ridge Mountains. Visiting a winery is one of those great simple pleasures that puts you back in contact with the facts that wine is an agricultural product and that real people work hard to tend vines, harvest grapes, bottle and market a product. Returning to North Carolina from Upstate New York over the weekend, we jumped off I-81 for a couple of hours to visit three Virgina wineries located among the Blue Ridge Mountains not far from Route 151. The setting was spectacular as were a number of the wines. The Virginia wineries we visited all offered free pours of multiple wines. You could also purchase a bottle or a glass of your favorite and enjoy the wine right on site with a million dollar view of the surrounding vistas. Our first stop was Veritas Vineyard & Winery in Afton. Veritas offered pours of some classic varietals. We found the Veritas 2004 Merlot to be soft and fruity, with a subtle hint of smoke that made the wine very attractive. The 2004 Claret was an attractive blend of Cabernet Franc and Merlot. The 2006 Sauvignon Blanc had a crisp apple citrus tone, while the 2005 Harlequin Chardonnay Reserve was a pale golden color with nice pear and apple tones. The Chardonnay was produced from 100 percent Virginia grapes and aged in both French and American oak barrels. The hit of our visit to Veritas was the 2005 Kenmar, a wine perfect for after a meal. There were nice honey and rose elements to the wine, which sells for $50 for a 375 milliliter. Our next stop was a few miles uphill at Afton Mountain Vineyards. Because we faced a bit of a time crunch and wanted to try to squeeze in one more vineyard, we stuck to the whites at Afton Mountain. The 2004 Tete de Cuvee Brut Sparkling Wine had a nice dry bite with a sharp fruit tone. The Afton 2005 Estate Bottled Chardonnay was aged on French oak and had very nice character. The Alsace-style 2006 Gewurztraminer has just 0.03 percent residual sugar and shows plenty of spice and fruit. Afton's 2006 Kilaurwen Vineyards Riesling was crisp and fruity, with 2.5 percent residual sugar. On the sweet end of the scale, but still very drinkable, was Afton Mountain White, a blend of vidal blanc, chardonnay and riesling grapes that comes in at 4.5 percent residual sugar. We changed things up for our final stop, hitting Hill Top Berry Farm & Winery in Nellysford. Hill Top is run by the Allen family and produces "True to the Fruit" wines and mead. No grapes are used at Hill Top. During our tasting we tried Virginia Plum Wine, Mountain Apple Wine, Cranberry Table Wine, Little Heeler Blueberry Dessert Wine, Sweet Cherry and two versions of Rock River Cyser, a dry and semi dry. We also got to sample a refreshing Sangria made using the Plum wine as the base, with obvious notes of strawberries and other ingredients in a secret family recipe. These are fun wines that are great for the deck at the end of a hot day or to switch things up on your friends during a meal. We found the Sweet Cherry, made from two different types of Virginia cherries, and the Little Heeler to be our favorites of the visit. Our quick visit to the area south of Charlottesville convinced us that we need to explore more of Virginia's wineries. It is certainly an up and coming area that will be an important part of the American wine scene in the coming years. Islay is the home of eight Scotch whiskey distilleries, including Lagavulin, Laphroaig and Bowmore. The Hebridean island produces some of the world's great malts, but production might stop this week because of an oil shortage. The problem is that environmental laws require large double hulled tankers to be used for oil deliveries. Extremely low tides and silting near the newly enlarged pier where the tankers dock means that the sea is too shallow for the ships to operate. Oil shipments have been unreliable recently, distillers claim. The fuel shortage has hit just before the start of the Islay Whiskey Festival. Islay whiskeys are recognized for their heavily peated flavor and sea air character. Plans by the Czech government to privatize Budejovicky Budvar is being criticized by the European Beer Consumers Union (EBCU). 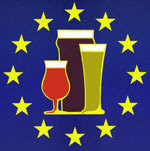 The EBCU says the sale of the brewery could result in lower quality Budvar on the market. The group is also concerned that Anheuser Busch, which has had a long running legal battle with Budejovicky Budvar over the Budweiser trademark, could bid for the brewer. The Czech government announced it is considering the possible sale of Budvar, the country's third largest brewer, as a way to raise funds to close a budget gap. The July issue of Harvard Men’s Health Watch is reporting that men who drink four to seven glasses of red wine per week are less likely to be diagnosed with prostate cancer than non-red wine drinkers. Researchers in Seattle collected data on men between the ages of 40 and 64 are only 52 percent as likely to be diagnosed with prostate cancer. The study also found red wine appears particularly protective against advanced or aggressive cancers. The study also found that even low amounts of red wine help ward off prostate cancer. For every additional glass of red wine per week the risk declines by about 6 percent. The scientists theorize that the antioxidant properties in red wine offset androgens, the male hormones that stimulate the prostate. The European Union has delayed action to deal with its continuing wine glut, but now the European Commission plans to recommend that $161.4 million be spent annually to promote European wines around the globe. The European Commissions proposal reportedly covers 2009-2015. It will be unveiled in July as part of what is expected to be a wider ranging reform of the wine market across Europe. The plan will include a recommendation to destroy 200,000 hectares of vines. European politicians are also considering a plan to scrap current subsidies to turn unused wine into industrial alcohol. That program costs in excess of $650 million annually. Drinking in public parks, on the streets and other locations is a pretty common site in most Russian cities. That could change under a new law. The Russian State Duma, the lower House of Parliament, voted in Stalin-era style on Wednesday in favor of the ban by a count of 377-0. The new law would ban the open air consumption of beer in public areas. Comsumption of liquor in public places is already banned, but it is not uncommon to see vodka being drank in some parks. The bill still faces further approvals before it becomes law. The Russian government is attacking drinking and smoking as part of a public health campaign. The law would restrict the consumption of beer in open air settings to bars and restaurants that have service licenses. The fine if you are caught consuming beer in public would be 300 rubles -- $11.58, not all that much more than you have to pay for a warm light beer in some Major League Baseball stadiums. The only thing missing would be an overpriced hotdog. Even though a report by the Columbus Dispatch showed that a majority of the Ohio Expositions Commission (OEC) was prepared to vote Thursday to allow beer and wine to be sold at the Ohio State Fair this year, Gov. Ted Strickland announced ahead of the vote that he would block the move. The OEC was set to consider four different proposals. In the Dispatch survey, six of the 11 members of the OEC said they would support the sale of alcohol, while four said they had not yet decided. The proposals ranged from allowing the sale of Ohio beer and wine at the food pavilion to allowing alcohol sales at non-youth oriented music concerts. The 12 day fair opens on Aug. 1st. Building a list of the best bars in America is a difficult task. One person's favorite bar is another person's dive. Some love a bar for its atmosphere, some because it has great music, some for the drinks, and still others because it is a great place to meet people. Esquire magazine has come out with its 2007 Best Bars in America. The list does indeed have some great bars, but if you are truly looking for the Best Bars in America I'm not sure this is the place to start. First, this disclaimer. The Lyke2Drink 100 Places to Have a Beer Before You Die list is likely not much better in many regards than the Esquire effort. After all, these are my picks based on personal experiences and from talking to people who should know: other beer drinkers. In my opinion, the Esquire list appears to be slanted toward dive locations that are in with the in crowd and a few upscale hipster locations. There are gaps and flaws that trouble me about the list. First of all, there are 12 New York City bars and seven Los Angeles bars, but only one from Chicago. I agree that New York is a great drinking town, but Chicago takes a backseat to no city when it comes to bars worth hitting. Philadelphia, New Orleans, Baltimore, Washington, D.C., Atlanta, Detroit, Miami and Seattle also rated just one bar each -- and not the right ones in my mind. Hey, Cleveland, Denver and Portland, Oregon, did not even get a mention. You can find a number of great places to throw back a few in these cities. Trust me on that. I applaud Esquire for focusing on the American bar. It is one of our greatest institutions. And, Esquire did not completely ignore fly over country in its listing. Lou's Pub & Package in Birmingham, Ala., Monte's Downtown in Fargo, N.D., Dead Presidents Pub & Eatery in Wilmington, Del., and The Red Key in Indianapolis, Ind. In the end, for most people the greatest bar in America happens to be the one they are in at the moment. 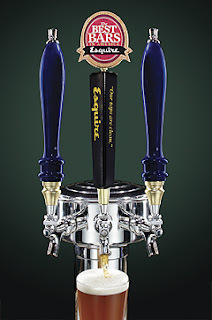 If anything, Esquire has just helped start a few barroom conversations. Junior Johnson is a living legend among NASCAR fans. He connects the sport's colorful past when moonshiners would gather to see who really had the fastest car to today's world of multi-million dollar sponsorship deals. Now Johnson has come full circle and is back in the moonshine business. Piedmont Distillers and Johnson have teamed up to roll out Junior Johnson’s Midnight Moon. Piedmont also makes Catdaddy Carolina Moonshine. As part of the deal Johnson is now one of the owners of Piedmont Distillers. The company claims to operate the only legal still in North Carolina, although at least one other is now getting ready to launch near Raleigh. Its moonshine can be found in eight states, North Carolina, South Carolina, Georgia, Wisconsin, Illinois, Tennessee, Virginia and West Virginia. This is not Johnson's first time in the moonshine business. Johnson was a driver making deliveries for his father's illegal moonshine still. His skills ended up getting him involved in NASCAR, where as a driver Johnson won 50 races, 10th on the all-time list. He later became a team owner, winning 139 races and six NASCAR series championships. Piedmont Distillers is located in Madison, N.C., in the town’s former train station built in 1915. One of the true ironies of the 21-year-old drinking age is that we have young men and women fighting for this country that cannot legally walk into a tavern and have a drink. They are old enough to pay the ultimate price in the eyes of our government, but not old enough to buy a drink. The Marine Corps has recognized that someone mature enough to storm a building occupied by al-Qaeda or Taliban fighters surely can have a glass of beer, wine or spirits. The Marines have ruled that service members as young as 18 can have a drink of alcohol on Marine bases on special occasions. Marine Corps Commandant Gen. James Conway signed the order, which allows local commanders to designate Marine Corps birthday celebrations and home coming parties after combat deployments as special occasions where drinking will be allowed. In 1995 the U.S. Defense Department told each branch of the service that drinking ages on bases should conform to local laws. Some are protesting the move, including Mothers Against Drunk Driving. 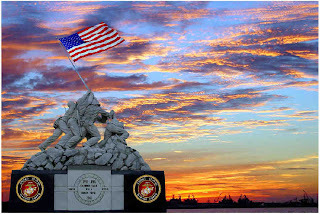 It's too bad that the anti-alcohol groups in this country don't realize they owe their ability to criticize the government to the very Marines they would like to deny an adult beverage. Two recent news articles about alcohol and advertising caught my attention. First, you should know two things: I like to have a drink now and again -- you might have realized that by the name of this blog! -- and, I've made a good chunk of my living for the last 24 years in advertising and public relations. My attitude is that if a product is legal, the marketers of that product ought to be able to legally advertise it so long as the methods of advertising the product do not suggest a usage for the product that goes outside legal boundaries. For instance, sports cars are a legal product. They can and should be advertised. However, GM should not be allowed to advertise that the Corvette is particularly we suited for night racing on neighborhood streets at 130 miles per hour. That's why I don't see a problem advertising beer, wine and spirits. The industry has adopted rules to avoid marketing the products to underage consumers, which is a good thing. The fact of the matter is that it would be a real waste of media budgets and pretty expensive for alcohol marketers to decide to run ads when kids and not adults are watching television. The problem comes in when you have media vehicles that attract a large number of legal age drinkers, but also come into contact with underage audiences. That leads us to the Massachusetts Bay Transportation Authority (MBTA) which operates the commuter rail "T" and buses in the Boston area. The MBTA banned cigarette ads a few years ago and now they are being pressured to ban alcohol advertising. A group pushing the ban says an ad on the T is like placing alcohol ads on school buses. The Massachusetts Banding Together Against Alcohol Advertising Collaborative says it wants the MBTA to stop accepting the ads and for the state legislature to stop requiring the public transportation system to maximize revenues by accepting the ads. It is expected the MBTA Board will have to respond to the pressure from the group by at least discussing the matter. The other example comes from the Midwest, where the Big Ten Network has decided against accepting any alcohol ads. Run by the Big Ten Conference, which includes 11 schools such as Ohio State, Penn State, Michigan and Minnesota, voted last June to ban alcohol ads on the network. The new service will televise football, men's and women's basketball games and other programming from each of the member universities. The network will be carried on cable systems nationwide. The Campaign for Alcohol-Free Sports TV is ecstatic about the Big Ten Network ban. Meanwhile, no one has produced any data showing the percentage of underage consumers that will watch the network. Obviously, much of the student bodies at the schools are not 21 years old. Many of the athletes covered by the network will also not legally be able to take a drink. The fact is that many do and, ban or no ban, they still will. The move to ban alcohol ads picks up steam from time to time. It accomplishes very little other than having the potential of draining revenues from organizations that need the funds. What would happen if it took a rate hike on the T in Boston to make up for lost ad revenue? Perhaps Big Ten schools will not miss the revenue, then again they might have fewer dollars to put into scholarships for deserving students. Beyond the economics, banning any form of free speech, even speech that is for commercial purposes, is troubling. If we say nothing to support the beer, wine and spirit marketers today, can we really protest it when they decide that ads that might be critical of the government or of a particular policy do not belong on the T or on the Big Ten Network? It is time to halt the creep of political correctness. It has been 24 years since the SCTV characters Bob and Doug McKenzie made their movie debut in Strange Brew. 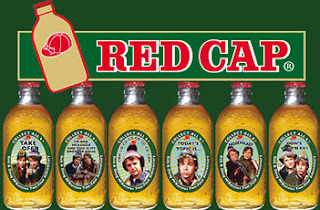 Believe it or not, one Canadian brewer is celebrating the big two-four for the hosers' movie with a commemorative brew. Brick Brewing Company Ltd. has created a limited edition set of six Bob and Doug collectible stubbies. Twelve packs of the beer sold throughout Ontario will feature the anniversary bottles throughout the summer. Dave Thomas played Doug McKenzie, while Rick Moranis was Bob McKenzie. The pair hosted the mythical Great White North television talk show as part of the syndicated Second City Television program. Kentucky might be famous for its Bourbon distilleries, but sections of the state can be conserative when it comes to consuming alcohol. Case in point: Danville. The Danville City Council is meeting on May 29th to discuss a couple of alcohol related measures. The first is a review of the current law which bans alcohol sales on Sunday. Another proposed ordinance would ban karaoke and dancing in restaurants that serve alcohol. City officials say that karaoke and dancing in restaurants creates crowds, which leads to "a bar type atmosphere" that they do not want in their community. There is no word on whether Kevin Bacon plans to appear at city hall for the meeting. Tuesday Tasting is a regular feature of Lyke2Drink that explores some of the best beers, wines and spirits on the market. This week we head to Iowa to experience a distilling revival. The microdistilling moving is much like the microbrewery movement was in the early 1980s. There are exciting new flavors popping up in some unlikely places around the country. And, like the early craft beer pioneers, there is a real mix of people getting involved. Some are coming from the beer and wine industries. Some have significant marketing savvy. A few have enough funding to stick through the hard times and wait for commercial success. Some will survive and build brands like Sierra Nevada and Samuel Adams of the beer industry. Others will disappear, like the once popular brews New Amsterdam and Catamount. In Iowa, Jeff Quint is busy trying to build a name for the first distillery to open in the state since Prohibition. Cedar Ridge Vineyards, Winery and Distillery is located near Cedar Rapids. They make a grappa, apple brandy, vodka and a lemoncella – not exactly a drink you would expect to find being made in the Midwest. “The demand for the lemoncella is pretty strong. I’ll have to go to a commercial zest at some point just from a volume standpoint, but for now we buy the lemons 600 at a time and zest them by hand,” Quint says. Cedar Ridge Lemoncella: This is a clear version of the Italian specialty made in Iowa from fresh lemons. It has a syrup-like viscosity that offers up plenty of lemon aroma. The drink arrives on your tongue with a sweet base and the balancing tartness that you would expect. Clearheart Vodka: Made in Iowa from grain and 10 percent apples, this triple distilled 80 proof vodka is crisp with just a slight tart edge to the finish. Can Armagnac Make You Live Longer? Researchers in France believe that Armagnac may help ward of heart disease, reduce obesity and help people lead longer lives. Armagnac is a brandy that comes from the Gascony region of France. Researchers at the University of Bordeaux are studying why residents of Gascony live an average of five years longer than people in the rest of France. One answer might be a daily slug of Armagnac. The scientists are looking at how Armagnac is distilled and the oak barrels where it is aged. The study found a low incidence of heart disease in the Gascony region, even though residents consume a diet similar to the rest of France and are heavy smokers. The researchers study Armagnac on platelets in test tubes and found the drink has a similar positive benefit to the anti-thrombosis drug Plavix. In tests with humans, the brandy was compared to vodka and had a more positive result. The researchers also noted the Armagnac was better than daily doses of aspirin because it did not interfere with blood clotting in the case of a cut or injury. Smirnoff Source: Will Lindsay Lohan Endorse the Brand? What do you call a product that has a vodka brand name, uses malt as its alcohol base, is primarily spring water and has citrus flavoring added? The folks at Diageo call it Smirnoff Source. I'm willing to bet it is the next target of the anti-alcohol crowd. It may also become the new favorite of actress Lindsay Lohan, who according to media reports from trusted sources such as the National Enquirer and E-Entertainment Television, has emerged from rehab rested and ready to party. Ms. Lohan's "friends" say that water bottle she is often photographed carrying contains something other than spring water. Imagine that. Back to the new Diageo brand. Smirnoff Source is now available in the northeast. It is a 3.5 percent alcohol by volume drink that the company touts as having fewer calories and a lower alcohol content than most popular domestic beers. Why do I think Smirnoff Source will be a target? Well the 16 ounce glass bottles and label are hard to tell apart from some bottled waters from more than five feet away. And while Diageo stresses the advantages of the lower alcohol levels, I'm sure the neo-Prohibitionists will say that the drink is a cocktail with training wheels for underage consumers. Diageo says that all labels and marketing materials, which have been approved by the federal government, clearly state that Smirnoff Source contains spring water and alcohol. Anyone want to bet that some bureaucrat flips on Diageo once the pressure mounts? I have nothing against products like Smirnoff Source or the people who enjoy them. It's not for me, just like the Old Rasputin Russian Imperial Stout I have in my refrigerator is not for them. I do, however, get an odd look on my face when I read a quote like the one in the Diageo press release that says: "Smirnoff Source is a new way of thinking about the beer category," said Guy L. Smith, Executive Vice President of Diageo. "Smirnoff Source is the first lower-alcohol flavored malt beverage on the market that fits modern lifestyles and offers adult consumers sophisticated new drinking experiences." A new way of thinking about the beer category? This from the guys who import Guinness Stout? When did the marketing people kidnap all of the brewers, distillers and winemakers working for this international giant and send them to an island without phone and Internet service? Imagine what Sir Arthur Guinness would have to say about Smirnoff Source. It's a good thing he has been dead for 205 years or someone would be getting a memo on Monday morning. According to a Wall Street Journal report, production of Spykes, a malternative that has generated some criticism for Anheuser-Busch Cos., was stopped for a week during April when the U.S. Alcohol and Tobacco Tax and Trade Bureau (ATTTB) ruled its labels violated federal law. The ATTTB said the required health warnings on the labels were too small and difficult to read. Spykes comes in two ounce sizes, which leave little space for labeling. The ATTTB bureaucrats got out their rulers and found the warnings contained 41 to 47 characters per inch. The maximum allowed characters per inch is 40. The ATTTB also said that several of the labels had colors that made the warnings impossible to read. Spykes is a 12 percent alcohol by volume drink that has been the target of a number of anti-alcohol groups that claim it is aimed at underage drinkers. Some criticize the fact that Spykes contains caffeine, guarana and ginseng and might be confused as an energy drink. For its part A-B points out the labels had already received approval from federal and state officials before they went into production. Natalie MacLean, author of Red, White and Drunk All Over: A Wine-Soaked Journey from Grape to Glass, believes you can drink wine with just about any food. The proof: how about Champagne with potato chips? It might drive the French crazy, but that is one of the recommendations you will find at www.nataliemaclean.com/matcher. MacLean, who has won four James Beard Journalism Awards and whose recent book was named Best Wine Literature Book at the World Gourmand Cookbook Awards, matches classic dishes to wine along with some odd items -- from Jello to TV dinners. In fact the matcher on her site has 360,000 food and wine pairings, plus recipes. Still stumped? I've found that wine by itself is pretty good, too. No one at city hall can remember any problems related to alcohol at public events, but Cathedral City, Calif., officials say they are going to consider a measure to ban drinking at city sponsored events. City officials say they worry about children seeing adults drinking alcohol at summer festivals and at the annual Chistmas Tree lighting ceremony. Some businesses say the ban could hurt attendance, while others say the ban would make for more family friendly events. Current laws do not prohibit consumption of alcohol by adults at public events in Cathedral City. While no one is exactly sure where the measure came from or why it is needed, comments from politicians in the local media make it sound likely the bill will be passed. It is just the sort of measure that works in the opposite direction of its intent. If there are no problems currently with alcohol consuming adults at public events, it would appear that children and new legal age drinkers are actually getting exposed to responsible adults consuming alcohol in moderation. That should be the exact message we want our young people to receive. It looks like Cathedral City would like to hide that lesson behind closed doors. The wine and cheese reception was likely invented by an art gallery. However, in Pacific Grove, Calif., local officials believe that art and wine don't mix. Police Chief Darius Engles told the Pacific Grove Chamber of Commerce his department would enforce a ban on serving wine during monthly Artwalk events at local art galleries. The art galleries are not licensed by the California Department of Alcoholic Beverage Control so they cannot legally serve alcohol. Ten galleries and shops participate Artwalk, an event that has been taking place for two years without any reported incidents. Ever wonder how Prohibition became the law of the land and stayed that way for so many years? The fact is that at the time alcohol was ruled out of bounds many people wondered the same thing. Brewers of the time tried unsuccessfully to distance themselves from distillers, figuring Prohibition would likely hit liquor and not more moderate beer. Wineries in the U.S. were not all that organized. Importers lacked any real clout, and distributors did not become part of the beverage landscape until after repeal. Most people thought the dry coalition would never be successful. The Prohibitionists organized themselves, pulling in churches, women's groups and others to form a strong coalition. In short, the drinks industry and American consumers were asleep at the wheel and lost the right to come together to enjoy adult beverages. The Brewers Association is launching an effort to sign up people in a campaign called Support Your Local Brewery to make sure that beer lovers have a strong grassroots group. What's that you say? Prohibition can nevr happen again? Perhaps your right, but that does not mean that in your state's legislature someone is not working on a bill right now to tax you more, limit where and when you can drink or harm alcohol makers in ways that could make it more difficult or expensive to get your favorite drink. You can get more information on the effort at: http://supportyourlocalbrewery.org. Issue: Free the Hops is working to eliminate the current 6% alcohol by volume cap imposed by state law on beer and the prohibition on selling beer in any container exceeding 16 ounces (kegs excepted). Issue: Gov. John Baldacci has stated his commitment to expanding the state subsidized health insurance program, with possible tax increases on beer and wine funding the increases. Issue: A Michigan think tank has publicly stated that government officials should consider raising the tax on beer as a means to address the state's budget problems. Issue: A proposed state bill would impose a tax on all alcohol beverage wholesalers, domestic wineries, microbrew pubs and direct shippers that would raise the price of beverages. Issue: Legislation in the House seeks to impose a “malt beverage cost recovery fee” of $32 per barrel on manufacturers and importing distributors of malt beverages. Issue: A State Representative is proposing a bill that would raise the tax on beer - doubling the current rate of $3 per barrel - to fund alcohol treatment programs. Issue: House Bill 94 proposes to raise the limit on the percentage of alcohol allowed in malt beverages sold at retail from 8 percent to 16 percent. Tuesday Tasting is a regular feature of Lyke2Drink that explores some of the best beers, wines and spirits on the market. This week we spend a couple of days in Chicago trying out a few beers. I was in Chicago to pick up my daughter, Brhea, from Loyola University. Before the packing and moving, we had time to tour the Windy City and stop by a few bars and restaurants. Chicago is one of America's great tavern towns. You could easily spend a few lost weekends on Clark Street and only scratch the surface. One of the places we stopped at was Sheffield's Beer and Wine Garden just a few blocks from Wrigley Field. 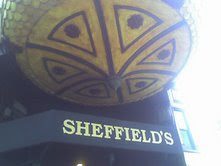 They have several bars at Sheffield's, plus an outdoor beer garden. We sampled two interesting brews. Two Brothers Victor's MemoriAle Altbier was a highlight of the trip to Chicago. Brewed about 30 miles west of Chicago, this draught beer was a dark and malty brew that was very refreshing. Later during the trip at another location I had the chance to try Two Brothers Domaine DuPage, a French Country-style ale. That brew was in a bottle and did not quite measure up to the Altbier, perhaps because it was served ice cold, but was still worth trying. Also while at Sheffield's we had Founders Brewing Centennial IPA from Grand Rapids, Mich. This is a crisp IPA that the American Homebrewers Association Beer Judge Certification Program uses as its example of an IPA. You get a decent head, 7.2 percent alcohol by volume, plenty of floral hop characteristics and 46 IBUs from this brew. While walking near the Chicago River we decided to head underground below Michigan Avenue to stop in at the Billy Goat Tavern. The Billy Goat was made famous by the late columnist Mike Royko, who used to meet up with alter ego Slats Grobnik for a beer and conversation at the bar. It is also the basis for the Saturday Night Live "Cheeseburger" routines. We had a Billy Goat Dark that is contract brewed for the bar. It was nothing special, but the Billy Goat is one of those half real, half mythical bars you need to cross off your list on a visit to Chicago. While in Schaumburg to visit the IKEA store, we stumbled across a Ram Brewery location along the access road to the giant Swedish retailer. The Ram Brewery was crowded with Bulls fans when we stopped in for a quick beer before the shopping. Luckily, we decided to try the Big Horn Nefarious Nelson Stout. This stout was excellent, with nice firm roasted barley notes and a good dose of sweetness. Also during our visit we decided to have lunch at the Chicago Brauhaus on North Lincoln Ave. to sample the German specialties, including the Schweine Schnitzel. We had half liters of Spaten Mai Bock and Stiegl Pils to wash down the meal. The Spaten was Munich fresh and a true seasonal delight. 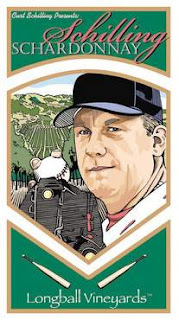 Just days after St. Louis Cardinals pitcher Josh Hancock was killed after a game while driving drunk, (he was also speeding, talking on a cellular phone and had marijuana in his vehicle), the National Basketball Association has told Golden State Warriors coach Don Nelson he is not allowed to bring beer into post game press conferences. Nelson was seen with a Bud Light in his hand while conducting post game interviews during the Warriors series against the Dallas Mavericks. Nelson has a 1,232-920 regular season record, the second highest victory total by a coach in league history. This blog has chronicled the miracle health benefits of beer. Now it appears beer can also supply energy -- electrical energy. Researchers at the University of Queensland and Foster's Group believe they have found a way to create energy from brewery wastewater and bacteria. Scientists have received a grant to install the experimental microbial fuel cell at a Foster's brewery outside of Brisbane. The fuel cell battery uses bacteria to consume water-soluble brewing waste such as sugar, starch and alcohol. The result is electricity and clean water. A prototype of the battery has been operational in a university laboratory since earlier this year. The brewery fuel cell is expected to produce 2 kilowatts of power or about what the average household consumes in electricity. The scientists, however, are excited because the real benefit of the technology is wastewater treatment. The electrical generation is a bonus that could be replicated at other breweries, wineries and distilleries. Jay Brooks of the Brookston Beer Bulletin is the host of this month's Beer Blogging Friday and has decided that the topic for Session #3 should be The Mysterious Misunderstood Mild. The Campaign for Real Ale, the British group that fights for all things traditional when it comes to beer, has declared May as Mild Month, so it looks like Jay is on the right track. First a little Mild history. Mild accounted for more than 40 percent of all of the beer sold in the United Kingdom in the late 1950s. By the late 1980s that number had dropped to about 10 percent. The category has never really gotten off the ground in any significant way in the U.S. and that is too bad since it is designed to be a session brew that can be enjoyed at lunch or during the course of the evening because of its moderate alcohol level. Traditionally Mild is a brown ale, although the Brewers Association's style guidelines allow for both Dark and Pale versions. The style is defined this way: Pale Mild has IBUs of 10-20, SRM of 8-17 and ABV of 3.2-4 percent and for Dark Mild, IBUs of 10-24, SRM of 17-34 and ABV of 3.2-4 percent. One problem: Finding a Mild to enjoy in the good old U.S.A. is a chore. They do exist, as you can see by visiting Jay's blog, but try as I might I struck out trying to find one for this month's Session. I started off by visiting the Flying Saucer in Raleigh. Even with a wall full of draughts and a ton of bottles, no mild. I then hit the World Beer Festival in Raleigh. Harpoon listed a Brown "Session" Ale in the program, which got my hopes up. However, the beer was not at the festival. I then traveled to Chicago, where the rumor is you can find Milds from both Goose Island and Three Floyds. I made several stops today at bars and retail shops, but again came up empty. I think the closest to the style I came during the process was a wonderful brew from Greensboro, N.C. Natty Greene's Old Towne Brown Ale with IBUs of 16 and a SRM 33 fits the category, but technically at 4.4 percent alcohol by volume it is just too strong. At the Great American Beer Festival in 2006 it received the Silver Medal in Brown Ale category. It's a great ale, just not quite a Mild. I plan to keep looking for a real Mild. Perhaps I'll stumble across one when I least expect it. There are some wines that smell as if they have been strained through an old sock, then there are wines that proudly proclaim their association with Red Sox. A trio of new wines are being released in New England that are linked to three Boston Red Sox stars and are designed to raise funds for charity. Manny Ramirez (Manny Being Merlot), Curt Schilling (Schilling Schardonnay) and Tim Wakefield (CaberKnuckle Cabernet Sauvignon) are being marketed by Charity Wines under the Longball Vineyards label. The Chilean wines are priced at between $11-$13 a bottle, with $1.25 per bottle going to a charity selected by each player: Wakefield, Pitching for Kids, a New England children's sports group; Ramirez, CHARLEE, a Miami group that provides support services to abused children; and Schilling, Curt's Pitch for ALS, which helps patients with Lou Gehrig's disease. Tuesday Tasting is a regular feature of Lyke2Drink that explores some of the best beers, wines and spirits on the market. This week we try a beer that celebrates a brewing milestone for one of the Pacific Northwest's great microbreweries. Rogue Brew 10,000 marks the 10,000th batch made over the course of 18 years by John Maier. It is one of the more expensive bottles of beer you will encounter. I've seen it at a couple of retailers for $20 and the bottle I split with a friend was at the Flying Saucer in Raleigh, N.C., for $32 for a 750 milliliter swing top ceramic bottle. Marier uses Vienna, French Special Aroma and Maris Otter Pale Malts, with Yakima Summit and German Saphir Hops, and PacMan Yeast. The brew is 10 percent alcohol by volume. The beer is well put together, as you would expect from a Rogue beer. There was a nice hop aroma, with some hints of wildflowers and citrus. The beer was a nice dark bronze color and had a good amount of malt to balance it overall. Is this a ground breaking beer from Rogue? Not really, given some of their other beers, including the John's Locker series. Is this beer worth $32, or even $20? If you are a Rogue fan, it is something you should try. Split the cost with friends to ease the bite. It is not the greatest Rogue ever, but as a salute to 18 years of great beers it is a nice way to mark a milestone. Anheuser-Busch has rolled out another one of its regional specialty beers, this time Skipjack Amber. The beer will target consumers in Washington D.C., Maryland, Virginia, West Virginia, North Carolina, South Carolina, Kentucky and Tennessee. It is named for the boats common to the Chesapeake Bay. Patrons admitted to the VIP tent at the World Beer Festival in Raleigh were among the first to get a taste of Skipjack Amber. It is a malty, drinkable dark lager brewed at A-B's Williamsburg, Va., brewery. The beer is 5.5 percent alcohol by volume.